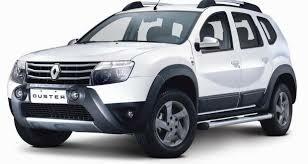 Renault Duster got all the love and appreciation from all over the globe. It is no mystery how many units of this fantabulous machine were sold. It was an epic success – one to remember and inspire. With a million ecstatic Renault Duster owners across the planet, it is not a surprise that the next level avatar is going to strike soon. We will tell you how soon. The Next-Gen Duster 2017 will set out to create history again. This is said, keeping in mind the course that was set seven years ago by the existing model. The upcoming model, we hope with all our might, will carry the baton zooming across the world. Some speculative renderings of the daring new SUV Duster 2017 have been doing rounds. Must we say what a spectacle this machine is! The brawniness is distinctly there and well, it had better be there. It makes Renault Duster 2017 what it is. The formidable road presence has, however, grown, all because of a wider stance. Other details that caught the eyes of some fortunate spectators were distinguished wheel arches, grand shoulder line and an overall an exaggerated masculine appearance. From what has been heard and if renderings are to be trusted, the next-level Duster 2017 SUV 2017 is, sure as hell, going to be meaner. The rectangular headlamps will, in all, probability, go missing. The slimmer ones are going to replace them. Add to this, a daring, dark black engine grille and we have ourselves a mind-blowing sight. If you think you have seen much, wait till you set your eyes on the fog-lamp enclosures that have been redesigned and retouched and lend themselves to its enhanced macho look. Like that was possible, we exclaim! Though some are of the view that they are more LED daytime running lights than fog-lamps, in a strict sense of the word. Let’s move to the rear now, where a lot of action has happened, we hear. The Next-Gen Duster 2017 SUV comes with an evolved rear tailgate and tail-lamps. So, when this one blazes past people, it is going to leave them gaping and breathless. The signature shell shape stays unchanged, thank goodness. So, one can say that even in this new avatar, the spirit stays the same. If anything, it has been built up to crazy levels. And we are loving the sound of it. Let’s see how the land lies in the face of competitors, mainly Ford EcoSport. Many motor experts believe that touching up the exteriors alone is not going to do the trick. What will actually decide how strong Duster 2017 SUV will stand against Ford EcoSport and other contenders is the cabin. There is a new dashboard, chic upholstery and all that, but will it be enough? Only time will show. Meanwhile, we can pin hopes on this magnificent new edition that is going to be a heady overdose of masculinity, something we totally love.